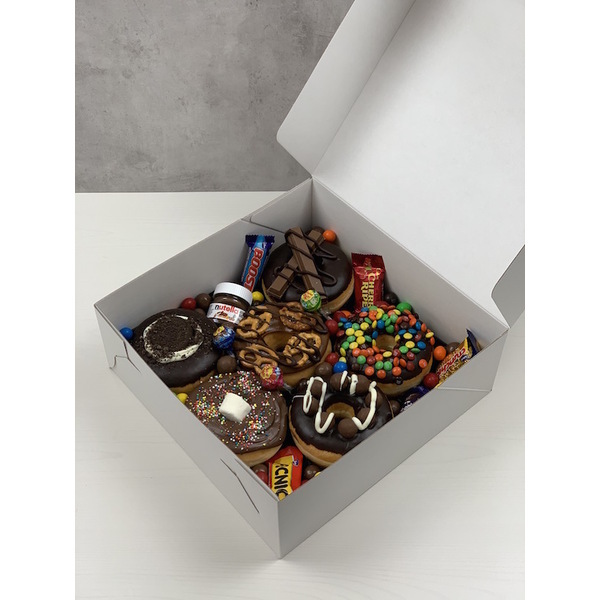 Make every occasion a tasty one with one of our delicious dessert boxes featuring donuts, cronuts and other sweet delights. 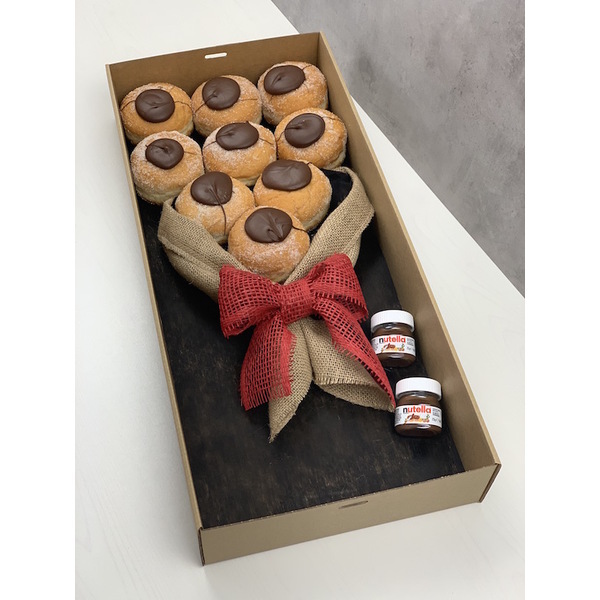 Our range also includes themed crates and donut bouquets, making our edible hampers the perfect gift or catering option for any occasion. 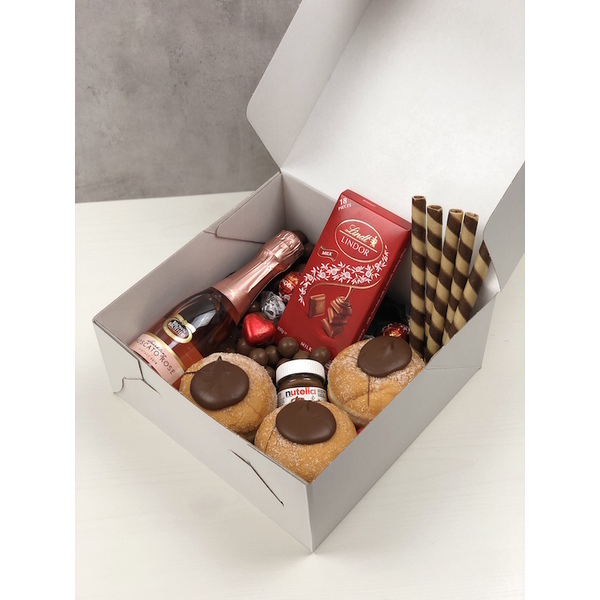 Complete your crate with a complementary personalised message and have it delivered to your recipient's door with delivery available six days a week. 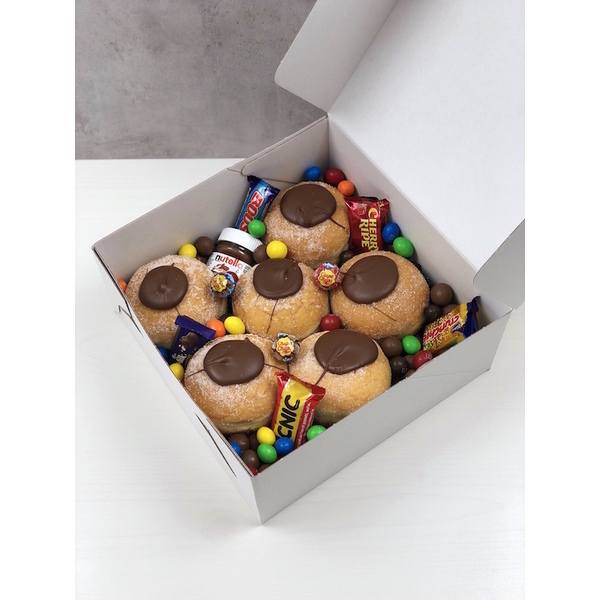 We also offer share boxes and cater for special events.